Building a Home? 7 Tips to Be Sure Your New Furnace Is the Right Match! Building a home is exciting! After so many years of trying to make a space designed by someone else work for you, you now get to create a space all your own. Naturally, you want everything you choose for your dream home to be perfect—including your heating and cooling system. There is just one tiny problem: you don't know a thing about furnaces! How can you be sure your new furnace is really going to be the right match for the size and layout of your new space? In this post, we offer seven top tips to help you choose the perfect new furnace. Electricity, natural gas, propane, oil, air source, geothermal, biomass… this group represents the most popular heating and cooling fuel types in use by homeowners today. There are all kinds of factors that can play into which fuel you want to use for home temperature control. If you are building a low-energy “green” home, you might be keen to use air source or geothermal energy via a heat pump. Propane and natural gas are two clean-burning fuels that can be particularly smart choices in areas prone to power outages. Electricity typically requires the least preparation up front and may require less of an up-front investment in appliance costs. Oil is still popular in some areas but isn't always as economical or readily available. If you are struggling to decide on one over the others, studying recent fuel price trends and researching initial appliance and setup costs can be helpful as a tie-breaker. According to Green Building Advisor, the majority of furnaces installed in new construction homes today are still oversized for the space. In past decades, this was standard practice. The thought process was that too much power was better than not enough. But today we know this does you as the homeowner and the environment a great disservice. A too-powerful HVAC system will draw more power and cost you more money without doing a better job. With today’s technology, it is possible to size your new furnace precisely to fit your new space. 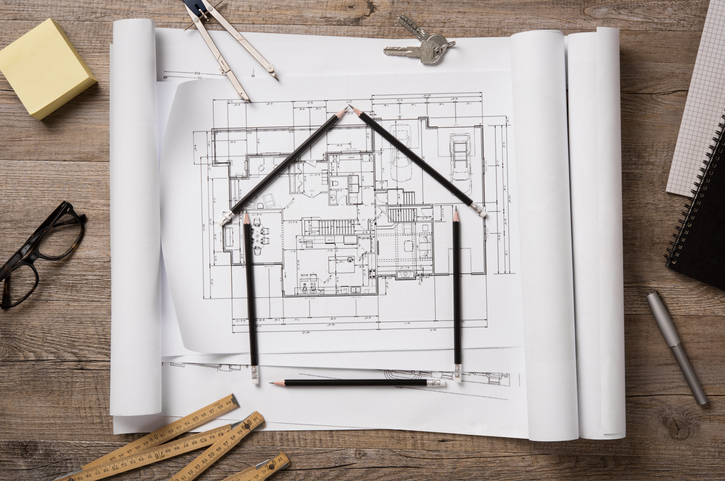 By factoring in everything from square footage to number of windows to type of insulation to climate zone, you can determine the right size and configuration for your space. In past decades, central (ducted) HVAC systems have been the norm for multi-room spaces. Today, ducted systems are still popular, but they are not the only choice. With the introduction of the ductless mini-split, a type of ductless system popular in Europe and Asia that is just now making its way to North America, it is possible to dispense with ductwork. This can be especially useful in more complicated spaces, where running ductwork becomes challenging. Ductless mini-split systems divide your home into different zones. This can help you control heating and cooling costs by room to save money all year long and dispense with duct maintenance. 4. Is a Heating Boiler Better? Of course, in all the discussion about which furnace to choose, it is easy to forget a furnace isn't actually your only choice! While a furnace heats air, a boiler heats water to keep you warm. But each requires a different type of distribution system to get that heat where it needs to go. With new construction that allows you to set up your distribution infrastructure, the choice often boils (pardon the pun) down to one of personal preference. Some people simply prefer one over the other. Here, it can be helpful to know that a steam-based boiler requires a higher operating temperature than a hot water-based boiler, which can make a steam-based boiler slightly less efficient and thus more expensive to operate. But today, high efficiency steam boilers are available to lessen this gap. 5. What About an Air Source or Geothermal Heat Pump? Across the landscape of heating and cooling options, it is true the air source and geothermal heat pump systems are still the new kids on the block. But each has some significant advantages to offer over more traditional HVAC systems in terms of providing eco-friendly, energy-efficient heating and cooling. The air-source heat pump uses heat energy in the air and the geothermal heat pump uses heat energy from the ground/water to provide temperature control for your home. Both systems typically use ductwork like a traditional central HVAC system. However, some heat pumps can work without ducts or be integrated to work with radiant flooring. By harnessing trapped energy stored in air or the ground/water, these heat pump systems give the energy efficiency rating of your home a major boost: up to 50 percent with an air-source heat pump and as much as 60 percent with a geothermal heat pump! 6. Claim Your Energy Efficiency Rebates and Credits! Energy Star offers a number of rebates and/or credits as incentives to homeowners to make energy-efficient choices. Natural Resources Canada maintains an active database detailing available rebates and credits by province, source and construction type (residential/commercial). Your choice of contractor can be important here, since some credits and rebates require the contractor to submit on your behalf. Researching available incentives in advance can help you save money and make your decision of which HVAC system to invest in easier! 7. Don't Forget to Ventilate! Today's low-energy, high-efficiency airtight construction standards may be great for your energy bill, but they aren't so good for indoor ventilation. Talk to your contractor about adding a heat recovery ventilator to keep your indoor air fresh. Are you overwhelmed by sorting through your options for heating and cooling your new home? We can help!